In our twenty-sixth episode, our topics include discussions on the upcoming ‘Leprechaun‘ film, a new horror movie titled ‘Altitude‘ rumors and ideas for a new ‘Nightmare on Elm Street‘ film, a great question that asked: “what is the horrific moment in a NON-horror movie” and more. We also give you “Bloody Recommendations” of two horror films, being the new Netflix series ‘Sabrina: The Teenage Witch‘ and the film ‘The Manson Family‘. 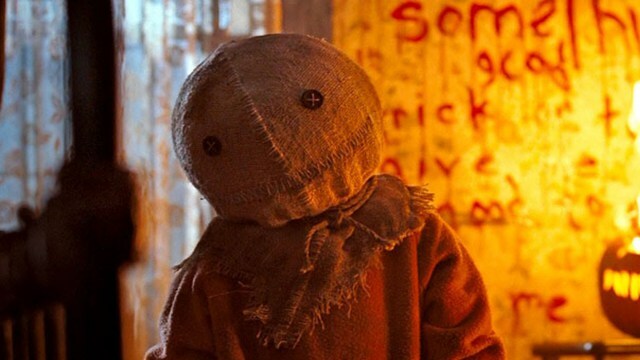 Our big topic is, of course, is ‘TRICK ‘R TREAT‘, where we discuss the film, it’s production history, the actors, and more. It was so much fun. This episode is guaranteed to thrill you, chill you, and fulfill you. This entry was posted on Wednesday, October 31st, 2018 at 4:19 pm	and is filed under Film, News, Podcast. You can follow any responses to this entry through the RSS 2.0 feed. You can skip to the end and leave a response. Pinging is currently not allowed. « The Unbalanced Note #12 – ‘GHOST’!